It’s natural to want to feel more confident about the appearance of your breasts. Breast augmentation in Kansas City with the experienced team at Associated Plastic Surgeons can help you have full, beautiful, natural-looking breasts, whether you’d like to gain just a cup size or make a more noticeable change. Considering breast enlargement with implants in Kansas City? Request a consultation online or give our office a call at (913) 451-3722. During your breast augmentation consultation, you will meet with one of our plastic surgeons to ensure you are a good candidate for the procedure. They believe you should consider this procedure for your own personal reasons — not the desires of others. Breast augmentation involves several choices when it comes to breast implants, incision location, and implant placement. Your surgeon will guide you through the options to determine which are best suited to your body, aesthetic goals, and lifestyle. Your health history will be reviewed along with potential risks and complications. If you decide to schedule the surgery, your surgeon may order lab testing, medications, and age-appropriate mammograms as part of your preparation. Our surgeons can also talk with you at this time about any additional procedures you may be interested in. Many women with sagging breasts benefit from breast lift surgery at the time of breast augmentation. It’s also common for mothers to want to incorporate breast augmentation into a custom mommy makeover. We’re happy to discuss whether combining treatments is right for you. In order to provide personalized breast augmentation results, our surgeons offer a variety of breast implant choices including size, fill material, shape, texture, and profile. You will have the opportunity to physically try on different types and sizes of breast implants during your consultation to help you visualize your possible results. Choosing the right implant size for each patient is an art. Our surgeons have extensive experience performing breast enhancement procedures and work with patients to help them choose implants that will meet their cosmetic goals. A size that looks great on one patient may look completely different on another because of her anatomy. Your body type and the amount of existing breast tissue you already have are important factors in choosing a size that will provide the results you desire. Our surgeons understand this can be a complicated decision and recommend options based on their expertise. The more recent generation of cohesive silicone implants is the most popular choice among our patients, but saline implants are still an appropriate option for some women. Each type of implant offers advantages. For example, saline implants are filled after being inserted, so a slightly smaller incision is required and your surgeon can fine-tune the size of the implants once they are in place. Cohesive gel implants and highly cohesive gel implants (which are sometimes called “gummy bear” implants) look and feel more like natural breasts, according to many patients. Some of the complications associated with saline implants, such as visible wrinkling and rippling, aren’t an issue for cohesive gel implants. To learn more about these options, as well as profile, shape, and texture, please visit our comprehensive Breast Implant Options page. 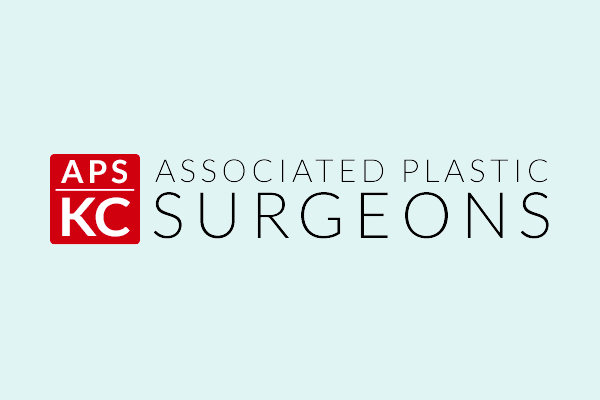 Our surgeons perform breast augmentation at a licensed surgical center in the Kansas City metropolitan area. The procedure is usually an outpatient surgery using general anesthesia. Your surgeon then assesses the appearance of the implants, fine-tuning the shape and size of your breasts, and then closing the incisions with tiny sutures and surgical tape. After the operation is complete, our medical team monitors your progress in a recovery room. Your surgeon ensures you are ready to leave the surgical center before you return home. Below the muscle or submuscular placement provides optimal coverage of the implant by placing it beneath both the breast tissue and the chest muscle. This option is often a good choice for women who have very little of their own breast tissue because extra tissue covers the breast implants. Submuscular placement may reduce the possibility of capsular contracture, a complication in which the natural scar tissue that forms around the implant thickens and distorts the breast shape. Above the muscle is technically called subglandular placement because the implant sits directly beneath the breast tissue (also called the mammary gland). Because only breast tissue and skin cover the implant, the implant may be more easily felt, especially in thinner women with little existing breast tissue. However, this placement provides attractive results when silicone implants are used, especially for women with more natural tissue. Our surgeons perform breast augmentation through 3 possible incision sites described in the table below. Clean your home and prepare meals for at least the first day or 2 following surgery. Have books, magazines, a tablet or laptop, and the TV remote all handy near your bed. Fill your prescriptions for pain relief medication before surgery. It is common to feel some discomfort after getting breast implants, although it is generally less pronounced than most patients expect. You are encouraged to carefully walk around your house on the day of the operation to promote circulation and enhance the healing process. You should wear a support bra around the clock during the first 2 weeks following the operation. Recovery time differs for each patient, but many women find they are able to undergo breast augmentation on a Thursday and return to work the following Monday. Incisions typically heal within 5 to 10 days. Postpone vigorous exercise for at least 4 weeks. Check with your surgeon before doing workouts that engage muscles in your upper body, especially if you’ve had implants placed below the muscle. The vast majority of breast augmentation patients enjoy their results for several years, but breast implants shouldn’t be considered lifetime devices. Implant manufacturers generally say implants can last 10 to 15 years. If you get silicone gel implants, an annual MRI is recommended after the first few years to monitor your implants. The same life changes that can affect the appearance of natural breasts, such as pregnancy, weight loss or gain, and menopause, can alter the look of your breasts. To ensure successful healing, we recommend that our breast augmentation patients be nonsmokers who are in good health. We also recommend that our patients have positive outlooks and specific, realistic goals in mind related to their surgeries. What are the long-term effects of a breast augmentation? The cost of breast augmentation surgery, much like other elective cosmetic procedures, varies depending on a number of factors. Among those are the geographic location where the operation is performed, the implants chosen, and the training and experience of the surgeon. When we quote a price for breast augmentation, it includes several related costs. Surgeon’s fees, anesthesiologist’s fees, and the operating fee are all part of the total price. We are committed to making our surgical services accessible to as many women as possible and are happy to offer financing options to qualified patients. Absolutely. It is common to combine breast augmentation with other cosmetic operations, especially for women who have had children. A mommy makeover typically includes procedures such as a tummy tuck and liposuction, along with cosmetic breast surgery. Some women who want breast implants also may need a breast lift to get the desired results. Combining procedures benefits patients because it is less costly than having the operations separately. Additionally, going through a single recovery period is more convenient. If you have additional questions about breast augmentation or breast enhancement, request a consultation online or call our office at (913) 451-3722 to schedule an appointment.